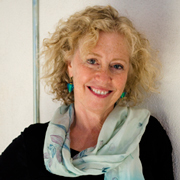 Lisa Fruchtman is an Academy Award winning editor (The Right Stuff) and a filmmaker. In Part-2 of our conversation we talk with Fruchtman on how she got started as an editor. What seduced her to continue her career as an editor at at time when there were barely any women editors in the film industry. This was a time when there were no computers and editing was a pretty intensive process involving splicing and glueing filmstrips. She has worked on iconic films like “Apocalypse Now,” “Godfather II,” “The Right Stuff,” and “The Children of Lesser God.” Fruchtman also worked on a documentary about the last concert of The Grateful Dead at Winterland in San Francisco. In 2012 Fruchtman collaborated with her brother and made “Sweet Dreams,” a documentary about women entreprneuurs in Rwanda. Fruchtman studied at the University of Chicago and has a background in music.